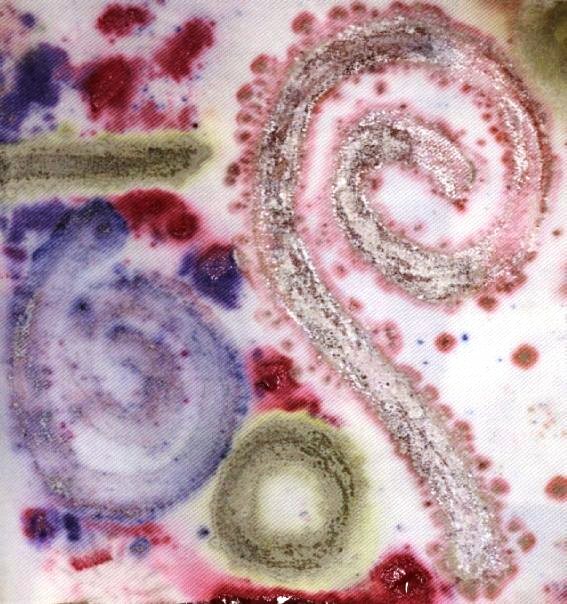 This is an example from a series of works featuring purely biogenic designs, which explore the inherent creativity and properties of bacteria. The living designs here are generated by species of a bacterium called Streptomyces. These are ubiquitous inhabitants of soils, where they play a vital role in degradation and recycling of decaying natural material. They also adept at manipulating human senses, as they emit a compound called geosmin, that is largely responsible for the intoxicating smell of woodlands in autumn and petrichor, the distinctive and beguiling aroma that accompanies the first heavy rain after a dry spell. This is a test for a conceptual textile, with a pretty living design, that would be used in curtains that would also generate natural aromas for the home, that would replace the brash and overpowering synthetic scent of air fresheners, with the natural perfume of autumn woodlands and petrichor. This entry was posted in Uncategorized and tagged BioArt, Geosmin, Streptomyces by simonsublime. Bookmark the permalink. Very pretty! A fascinating idea that we could have the smell of woodlands in our homes. Thanks Emily. Have you come across Jeff Millikan’s fabulous art collaborations with bees?